Of course, Santa Claus isn’t mysterious forever. The Point Loma house had a two car garage that my grandparents had filled with generations of stuff – it was a wonderful place to hide, explore and search. We found the bicycles in the garage before Christmas in 1956, but didn’t tell anybody else. Sure enough, on Christmas morning they appeared by the fireplace and Christmas tree marked “from Santa Claus.” Aha! So, now we knew, but being rather smart astronauts we didn’t tell the folks – why kill the golden goose? 2060. Richard Norman, born about 1623 in Charminster, Dorset, England; died before 11 August 1683 in Marblehead, Essex, Massachusetts, United States. He was the son of 4120. Richard Norman and 4121. Florence LNU. He married 28 March 1660 in Marblehead, Essex, Massachusetts, United States. 2061. Margaret Flint, born about 1642 in probably Salem, Essex, Massachusetts, United States; died before 03 September 1705 in Marblehead, Essex, Massachusetts, United States. * Elizabeth Norman (1663-1716), married (1) 1685 Aholiab Diamond (1658-1688); (2) 1688 William Hines (1657-1728). * Joseph Norman (1665-1691), married 1689 Mary Collins (1670-????). 4122. William Flint, born about 1603 in England; died 02 April 1673 in Salem, Essex, Massachusetts, United States. He married before 1636 in England. 4123. FNU LNU, born about 1607 in England; died before 1644 in probably Salem, Essex, Massachusetts, United States. * Alice Flint (1636-1713), married (1) 1654 Henry Bullock (1627-1656); (2) 1657 John Pickering (1637-1694). * Edward Flint (1638-1711), married 1659 Elizabeth Hart (1635-????). * Elizabeth Flint (1641-???? ), married 1655 John Woodis (1634-????). * Margaret Flint (1642-1705), married (1) 1660 Richard Norman (1623-1684); (2) 1685 Robert Goodwin (1623-????). * Edward F. Flint Jr and Gwendolyn S. Flint, Flint Family History of the Adventuresome Seven (Baltimore, Md. : Gateway Press, 1984). Hannah (Atwood) Horton (1686-1771) is #285 on my Ahnentafel List, my 6th great-grandmother, who married #284 Samuel Horton (1686-1778) in 1714 in Eastham, Massachusetts. Hannah Atwood was born in about 1686 in Eastham, Massachusetts, the 6th child (of 7) of Stephen Atwood and Apphia Bangs. There are no known records for her birth or baptism. Hannah married Samuel Horton on 28 January 1713/4 in Eastham, Massachusetts[1-4]. They had eight children between 1715 and 1731, all recorded in the Eastham town records. Hannah's father, Stephen Atwood, wrote a will on 20 May 1715, which was proved on 12 July 1722. In the will, Hannah is to receive a portion of the moveable estate, and is referred to as Hannah Atwood. Hannah died in Eastham, probably before February 1771, when her husband married Thankful (Snow) Mayo. There is no known burial record for Hannah (Atwood) Horton. 5. 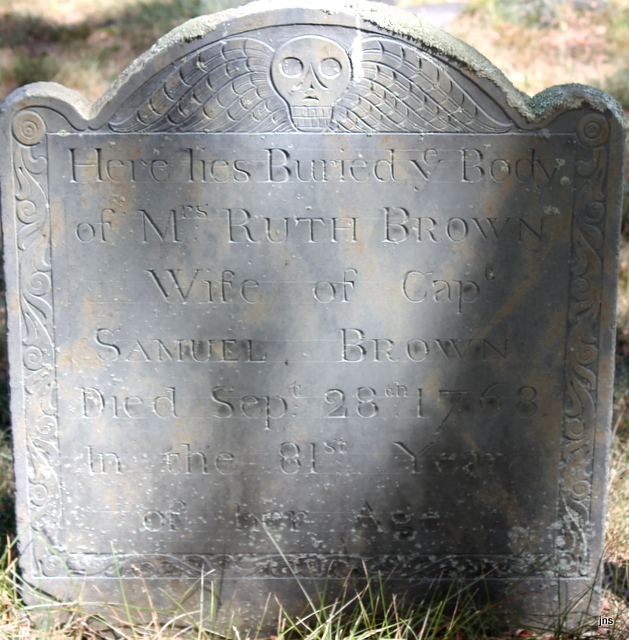 "Massachusetts, Wills and Probate Records, 1635-1991," indexed database with digital images, Ancestry.com (http://www.ancestry.com, Barnstable County, "Probate Records, Vol. 4-5, 1721-1741," Volume 4, pages 67-68, Stephen Atwood probate papers. 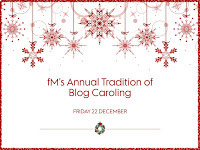 Our dear footnoteMaven is warming up the Choir of Genea-Angels again this year for a sing-along of Christmas Carols. We are supposed to claim our favorite Christmas Carol. The collection of songs from genea-bloggers should lift all of our spirits as we shop until we drop. My favorite is still "Angels we Have Heard On High" - maybe because of the Latin in it? Or because I can sing it in J-sharp and no one notices because of the joy it brings everyone else? Most likely because Linda collects angels and is referred to as Angel Linda by friends. The rumor that the first angel she collected was me is untrue. Musicologists have decided that this anonymous French tune was probably created around the eighteenth century. Some legends place its origin as as early as the second century. Words: Tra­di­tion­al French car­ol (Les Anges dans nos Cam­pagnes).Trans­lat­ed from French to Eng­lish by James Chad­wick (1813-1882); ap­peared in Crown of Jesus, 1862. Music: “Gloria (Barnes),” French carol melody; ar­ranged by Ed­ward S. Barnes. Also recorded by: Tennessee Ernie Ford; Mormon Tabernacle Choir; Tommy Greer; Clancey Brothers; Scarlet Rivera; Eric Rigler; Madeline McNeil; Sandi Patty; Nat King Cole; Lorie Line; Connie Brown; Scott Miller; Vienna Boys Choir; Percy Faith; Collin Raye; Frankie Gavin; Texas Boys Choir; Mel Weston; Donny Osmond. "The return of Rev. W.R. Seaver, after some weeks absence from the city, was made by his people the occasion of a great veritable 'surprise party,' at his residence, 1,201 Sylvanie street. They gave him a cordial welcome home, not only filling the house with self invited guests, but bringing with them a most generous supply of refreshments for the evening, and leaving behind them many 'basketfuls' for future use. The evening at the pastor's house was one of much enjoyment to all, and will long be remembered as one of the pleasantest incidents of a minister's life. "Mr. Seaver was accompanied home by Miss Myra B. Easton, daughter of R.P. Easton, a prominent lumberman of Muskegon, Mich., who will spend the winter visiting her former pastor and also his children in Kansas. On Sunday Mr. Seaver will resume services in his pulpit, which during his absence has been most acceptably filled by his son, Rev. Chas. H. Seaver, of Russell, Kansas. -- St. Joseph [Mo.] Gazette." "A Happy Greeting," article, Muskegon [Mich.] Chronicle, Saturday, 12 November 1881, page 2, columns 4-5, W.R. Seaver article; GenealogyBank (http://www.genealogybank.com : accessed 21 December 2017), Newspaper Archives collection. Although this is a Muskegon newspaper, the article was copied from the St. Joseph [Mo.] Gazette newspaper, and the events refer to St. Joseph and not to Muskegon. Reverend William Rufus Seaver (1822-1898) married Mehitable Homer (1822-1908) in 1842 in Brimfield, Massachusetts, and they had five children, four of whom married and had children. The eldest child was Reverend Charles Heman Seaver (1843-1919), who married Hannah Maria Colby (1847-1922) in 1867 in Clinton, Michigan, and they had three children. Rev. W.R. Seaver was a Congregational minister, and had served a pastorate in Muskegon from 1872 to 1879, and had been in St. Joseph for two years. He soon left St. Joseph and moved to a church in Traverse City, Michigan. Rev. Charles H. Seaver was also a minister and had been serving in Russell, Kansas for several years at the time of this article. By 1900, he and his family were residing in Harrison, Michigan. Myra B. Easton was a former parishioner of William R. Seaver, was likely in the age range of William R. Seaver's children, and visited them in St. Joseph and Kansas. William Rufus Seaver is my first cousin 5 times removed, with the common ancestor being my 5th great-grandparents, Norman Seaver (1734-1787) and Sarah Read (1736-1809). Charles Heman Seaver is my 2nd cousin 4 times removed.